Cute little note to send home this August. 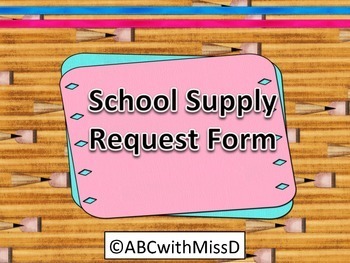 Features a short welcome note (rhyming of course) followed by 10 spaces for you to fill in school supplies of your choice. Enjoy, and happy summer!